With this funding, the state director of broadband technology and associated staff will partner with the New Hampshire Community Development Finance Authority (CDFA) to develop a demand stimulation and aggregation program that mobilizes key stakeholders to make in‐kind and financial commitments to increase broadband penetration on a targeted community‐by‐community basis. The program will assemble a resource panel and create a broadband sustainability fund to assist with financing for areas that need service. This funding will support the partnership of the New Hampshire Broadband Mapping Program with the University of New Hampshire (UNH) Cooperative Extension, the UNH Information Technology Office, the Granite State Distance Learning Network and the State Office of Energy and Planning. 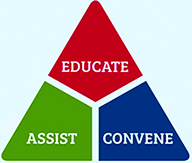 This collaborative will conduct a survey that seeks to assess the functional needs of the educational, non-profit, local government and business sectors in the state. Once the needs of each sector have been identified, technical specialists will provide leadership from each sector with information and training about the opportunities available to them and the various software and applications that could meet the needs they identified in the survey. The project team proposes to work directly through the New Hampshire Municipal Association, New Hampshire Business and Industry Association, New Hampshire Department of Education and New Hampshire Center for Non-Profits to reach the individual organizations targeted. This funding will support an expanded level of activity within New Hampshire’s existing regional planning commissions, allowing them to create and augment specific plans for broadband deployment and adoption, and to integrate those plans into existing regional blueprints. The New Hampshire Office of Energy and Planning, which works with each regional commission, will receive funding to coordinate activities and share leading practices across the project teams. 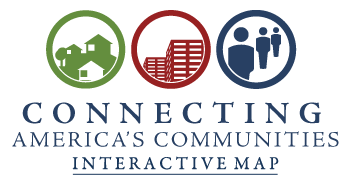 The New Hampshire Broadband Mapping Program proposes an innovative strategy that leverages relationships between UNH, Regional Planning Commissions, local/state agencies and community volunteers to develop the first public master address file for the state.